I love jasmine tea. I got hooked on it many, many years ago by an ex-boyfriend’s cousin… and have been scouring Asian grocery stores for authentic versions ever since. 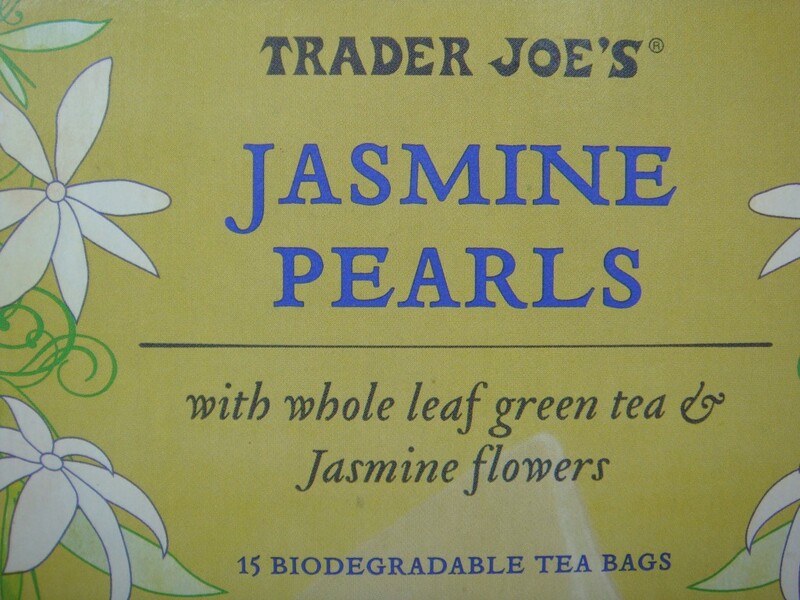 I don’t like the “jasmine scented” crap… just the tried and true jasmine flowers. So when I saw this product at Trader Joe’s, I just had to try it. Granted, it’s green tea that contains jamsine flowers (unlike my favorite Chinese counterpart), but it’s got these cool little jasmine “pearls” in it… which make it all the more interesting. It’s been sitting in my closet for a while — and then I unearthed it this week while doing a 2-day detox. 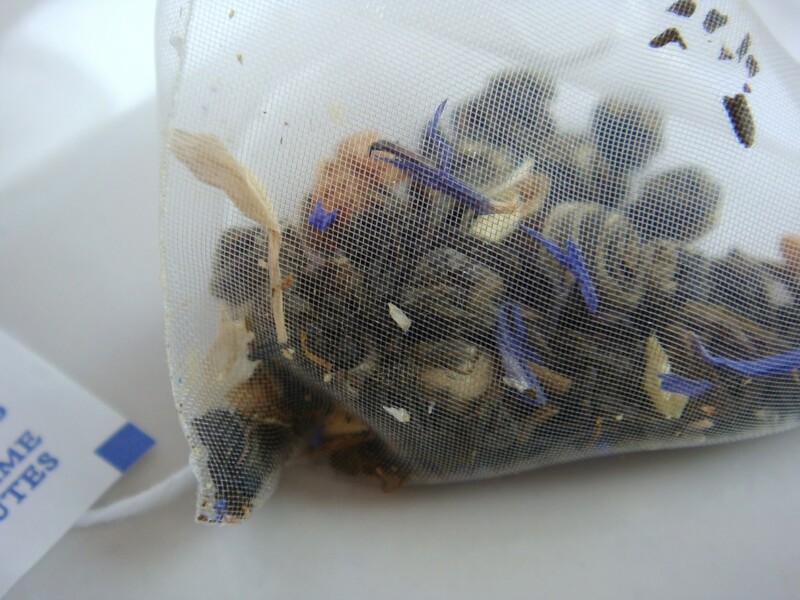 Technically, jasmine tea didn’t fit into my detox because it contains caffiene… but who could resist these gorgeious little (biodegradable) sachets? Not me… especiallysince I NEEDED the caffiene. So I made a simple elixir of jasmine tea and agave nectar… and it was divine. 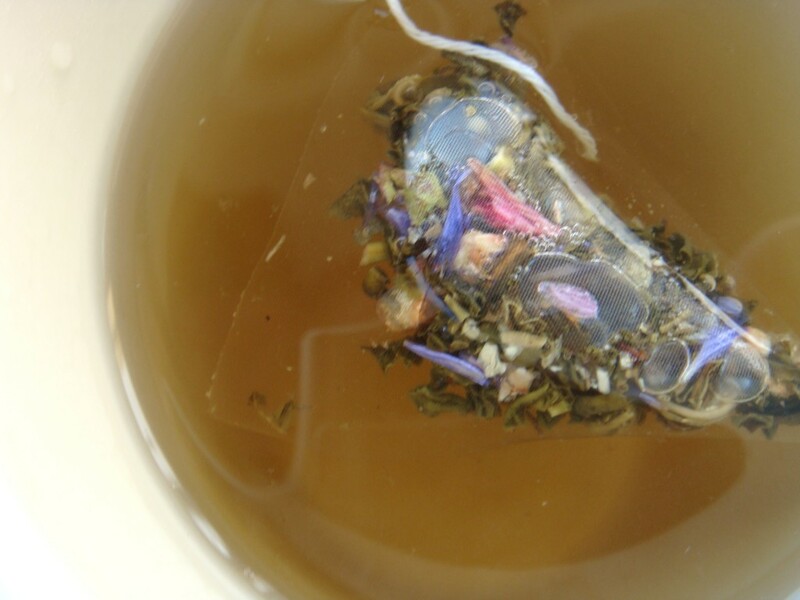 This tea is well worth the slightly higher price tag… as it’s tremendously floral in both taste and aroma. Some of the best jasmine tea I’ve had. Funny enough, I saw a comparable brand in a local grocery store — that was like 2-3x the price of these precious little pearls. Lesson learned… Trader Joe’s Rocks!! !